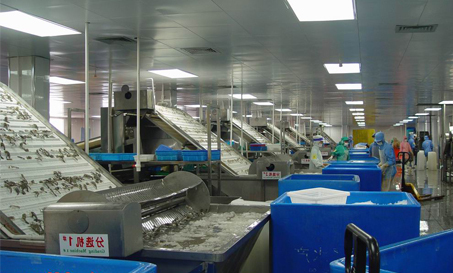 Located in Zhangjiang City, Guolian Aquatic is vertically integrated shrimp processing operation. A leader in shrimp exports to the US Market since 2004 when we received our Zero Tariff rate. Our key products are cooked tail on and off, Peeled shrimp and Breaded shrimp both Raw Breaded and Oven Ready. Our state of the art factory utilizes 30,000 MT of product annually. 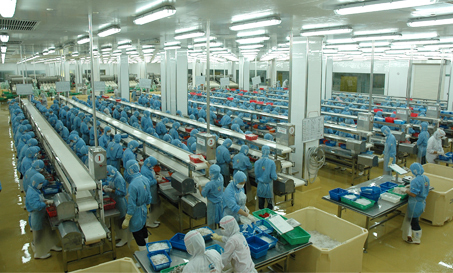 In recent years a portion of our production has been focused on the growing Chinese domestic market producing Cooked Head On, raw head on and value added items for the Chinese consumer. Exports will always remain an important part of our operation and is why our Vertically integrated group maintains a FOUR STAR BAP certification for shrimp products. 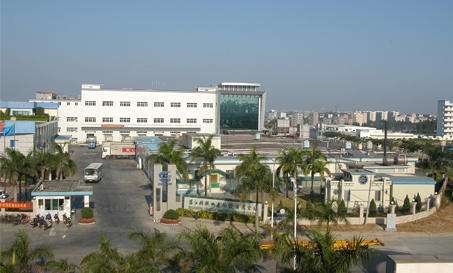 Guolian is also one of the largest importers of shrimp into China for reprocessing and domestic sales. Our R&D team is constantly looking for new opportunities to work with our customers in developing new items for a changing world market.